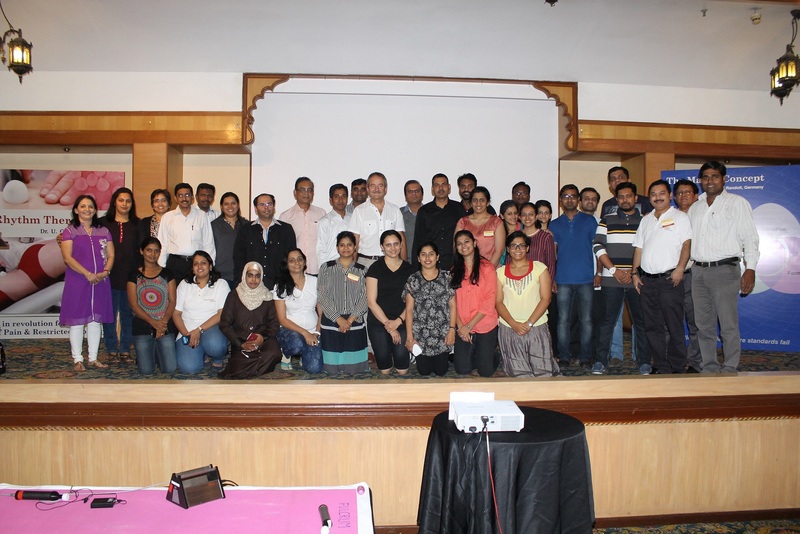 In December 2012, I got an oppurtunity to attend a seminar on Matrix Rhythm Therapy at Bangalore. There I witnessed a speech by Dr. Randoll. Though I was aware about Matrix Rhythm Therapy, I wasn’t really sure how it benefits practically. After that I requested Mr. Anil Deshpande for the demonstration of this therapy on my patients. After two days of demonstration, almost every patient demanded a repeat session of Matrix therapy and recommended us to procure the equipment called Matrixmobil. As a result we, in Rhamakrishna Hospital placed an order for the device in February 2013. 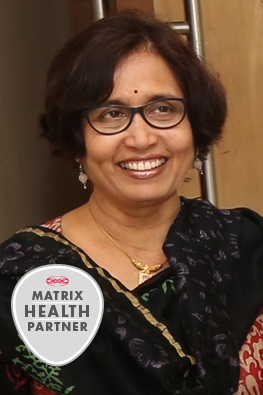 Matrix Rhythm Therapy has brought drastic change in the frequency of the patient visiting our centre. In addition it has also dramatically reduced the number of sessions of each patient. Though apparently Matrixmobil looks like a very simple device, during the application of the therapy I realized it takes special skills to achieve the optimum result. It also requires the therapist’s skill and knowledge in unterstanding the anatomy, palpation and area of application because it is not a localized treatment unlike other conventional therapy tools. Since it is not a time bound therapy, the durations of the sessions can vary from thirty minutes to an hour. It may even go beyond an hour depending on the outcome we expect in one session. In June 2013 a five days training program was scheduled in Germany for Doctors using this therapy. I too attended the program and there I got an opportunity to get hands on training from Dr. Randoll himself. Though we were practicing this therapy in India since past four month I realized that there were so many new things to learn from Dr. Randoll, so as to get desirable and positive results. During the training we felt that only five days are not enough to learn from the inventor himself. But I must say, this training helped me a lot in improving the results while practicing the Matrix Rhythm Therapy. 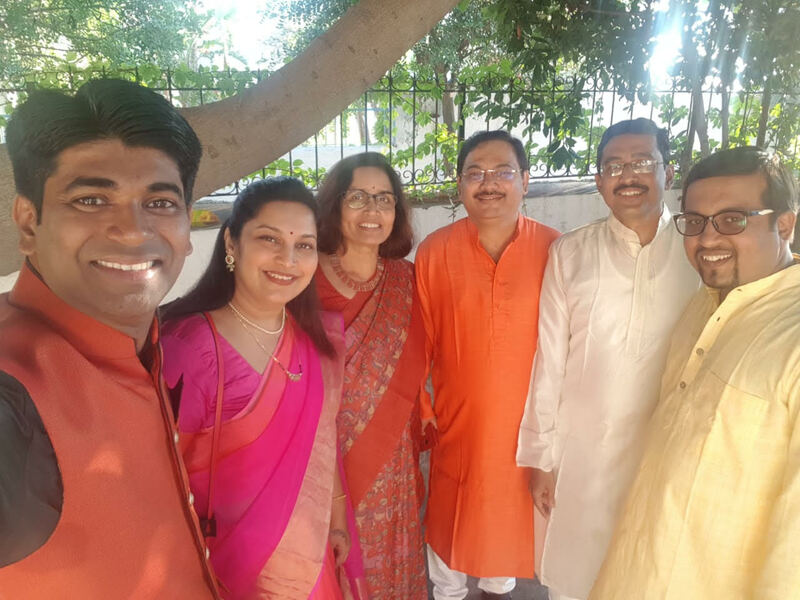 Since then I attended each lecture and each seminar Dr Randoll has held in India and – my personal highlight – I have been a part of the 21. International Matrix congress on the island of Ischia (Italy) in October 2018 where I presented my own case studies while also learning more through international exchange. In Ramakrishna Hospital, with Matrix Rhythm Therapy we majorly treat patients with acute or chronic pain and stiffness. We have also succeeded in achieving good results in patients with non-healing ulcers in approximately four sessions. 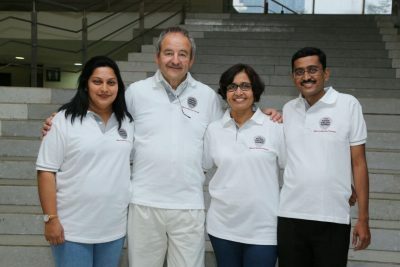 Dr. Aarti Prasad who delighted the scientific audience in Ischia. First she presented a case study Matrix Rhythm Therapy in urology. 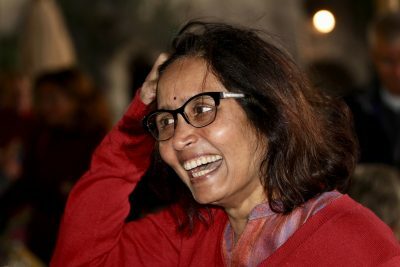 Then she brought truly Indian spirit to Ischia: participants from 10 nations doing Omkar with her. 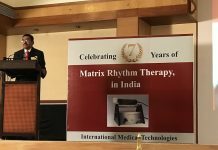 Neurological and Orthopedic conditions like nerve injuries, slipped disc etc have also been treated conservatively by the conventional physiotherapy but we have seen remarkable changes in the improvement with Matrix Rhythm Therapy in short span of time. Matrix Rhythm Therapy also gives very good results for mobilizing tissues, hence can be used as micro mobilization with marco movements. It can be regulary used for wellness. Most importantly I think Matrix Rhythm Therapy has become a very necessary tool for physiotherapists. I thank Dr. Randoll for his research at cellular level and invention of Matrix Rhythm Therapy that is helping us to deliver expected relief to the patients. 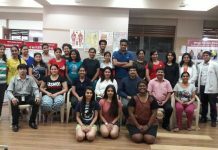 I also thank him for considering be as a trainer for Matrix Rhythm Therapy in India.